Live your symphony in the city while you set your own tempo in your home, located right at the heart of where the action is. 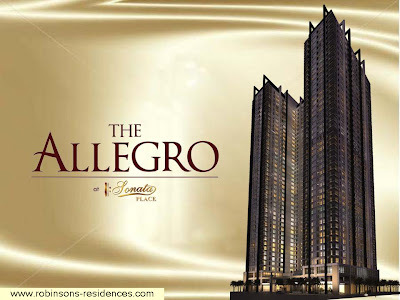 Experience The Allegro, the latest exciting addition to the bustling Ortigas Center, the metro’s small capital. The Allegro shall rise in the same complex as Sonata Private Residences, the development’s first phase that has successfully showcased a lifestyle of refinement and good living. 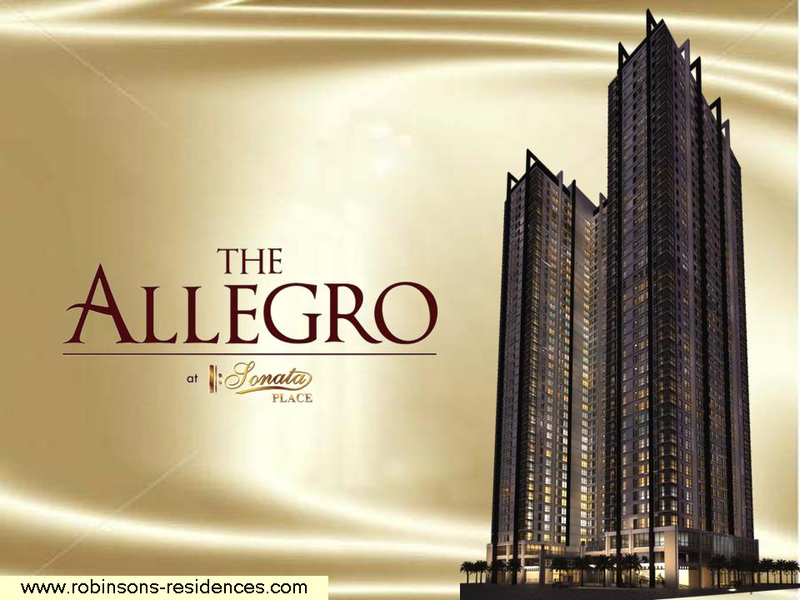 Experience The Allegro, the latest exciting addition to the bustling Ortigas Center, the metro’s small capital. As The Allegro unit owners deserve nothing less, extra care and attention were devoted to selecting superior materials for The Allegro. Branded finishes and upgraded fixtures shall be delivered together with your Allegro unit. With your Allegro unit comes an entire level of amenities for your pleasure, whenever you want. Life in The Allegro is easy and leisurely with the services and amenities available to its unit owners.